The glory of Lebanon, the splendor of Carmel and Sharon will be given to it. In Israel, Lebanon, Carmel and Sharon are flourishing. There is a huge difference between this and those closer to it like Jericho and other places. On one side, it flourishes, it blossoms and yields fruits. But the nation on the other side is totally dried up. Look at how true the word of the Lord is. Your eyes shall see the flourishing, your ears shall hear it, your heart shall feel it; but the world will not see it. Bible says “But may the righteous be glad and rejoice before God; may they be happy and joyful”. (Psalm 68:3) The blessings which the Lord gives us that the heart could not envision, no eye can see it, no ear shall hear it, cannot be felt in the heart, but we shall flourish and rejoice and sing with great joy. Dearly beloved, today your life may be like a desert; it may be dried up like the wilderness, but the Lord will make you flourish. When you flourish, you will sing with great joy. 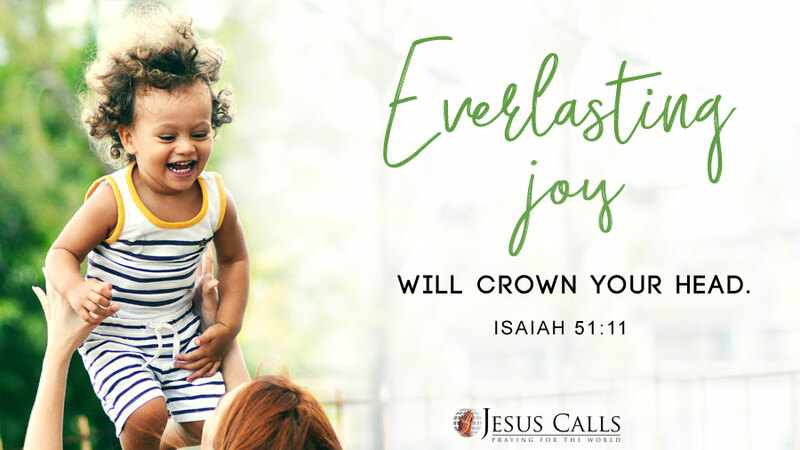 According to Isaiah 51:11, everlasting joy will crown your head. What is within us is what will come out for out of the overflow of the heart the mouth speaks (Matthew 12:34). So let us keep our hearts pure and clean. When the heart is filled with God’s glory, we will keep on singing the praises of the Lord. As we enthrone our Lord with our praises, He will lift us up and place us on firm ground. We are sure to receive the crown of everlasting joy. Our Loving Heavenly Father, thank You for this day in which I can sing of Your love and rejoice in Your presence. Lord, let Your Word be rooted firmly in my heart and enable me to bear fruits for Your kingdom. Lord, change all the dry grounds of my life into fertile land. I thank you Lord, for the everlasting joy that you have placed upon me. Bless this day, I ask all this in the matchless name of our Lord and Savior Jesus Christ, Amen!